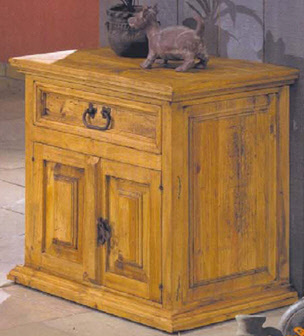 This simple night table is perfect in your Mexico rustic bedroom. It can also be used as a side table in your family room. Great for storing large items in the lower area. Can be customized in a variety of stains and finishes.